Judging by the habits of our closest related species, hunting is as old as humanity. 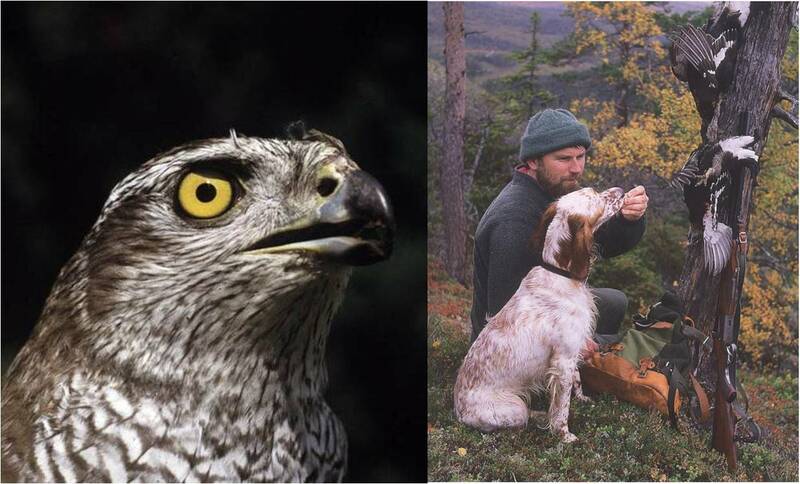 From less than 1% to nearly 8% of human populations in European countries are hunters, mostly with guns but traditionally also with hounds, trained raptors, ferrets and with bows. In the countries with most hunters and anglers, combined with the greatest GDP, conservation status is rated highest for all species. Hunters are most frequent where human population density is low and much semi-natural land provides good conditions for wildlife. Studies show that hunters create ecological benefits in habitat management, social benefits in terms of environmental responsibility and economic benefits through annual spending in Europe of about €16 billion on their passion. By combining good organisation and high individual spending, hunters surpass all other European recreations that depend on wild resources. Although some fail to see the benefits of hunting, hunting should become socially sustainable where hunters win local support through help to enhance the riches of nature. Naturalliance would like to help bring to local level the cooperation that European Commission has already forged between sustainable hunting and protection interests across the EU. It would help if national governments apply recommendations in the European Charter on Hunting and Biodiversity, which advises how hunting can best contribute to conservation; organisations in Naturalliance helped to draft this charter for the body that represents all European states, the Council of Europe. BEST PRACTISE. Due to the value of hunters for landowners, the Wildlife Estates Scheme of the European Landowners Organisation is our first example of how hunting can benefit wild resources. PRODUCTION. To help hunters improve their relations with other interests, Naturalliance will focus its links for guidance to methods of game production that benefit other species too; we’ll also link you to the sites of organisations that conserve through hunting. PROBLEM-SOLVING. Many studies now show predators to be important for game and other ground breeders, so we will focus on effective deterrence and on removal of predators especially by non-lethal means. MAPPING. Detailed mapping of non-cultivated habitats is important for model-based forecasting of game stocks and especially for combining economics of game and farming. Our simple mapping tool has already been tested for mapping game and their habitats, and we will build links to more software to help census game and other species. • Encourage land-use that gives more opportunity to pursue your passion locally.